Toronto got a sampling of that sweet sweet taste of summer this past weekend during the Sweetery Food Festival. The desserts festival returned for its third year over the weekend, bringing back all the sugary goodness into our lives. 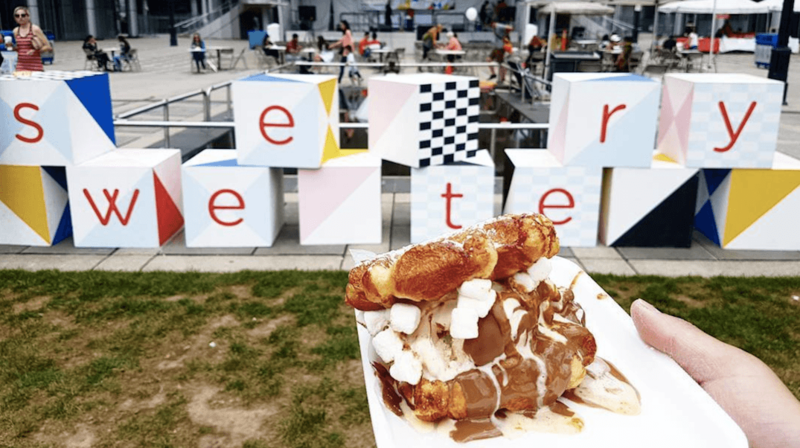 The special two-day event took place at David Pecaut Square, and had culinary delights from all over the city, along with tasty award-winning treats. And it all benefited the Second Harvest. If you missed the deliciousness, here’s a sampling of the Sweetery goodness.